Lot 99 C/I Notice. 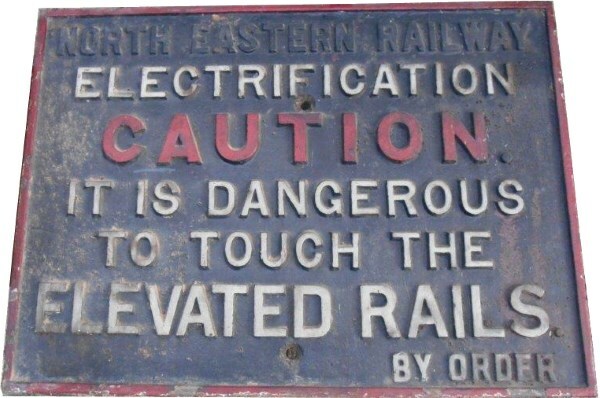 "ELECTRIFICATION - CAUTION - IT IS DANGEROUS TO TOUCH THE ELEVATED RAILS - BY ORDER". Size 32" x 24". Ex trackside condition.